Fifty years ago, the Kerner Commission issued its landmark report on the causes of the 1967 race riots in Detroit, Newark and other American cities. 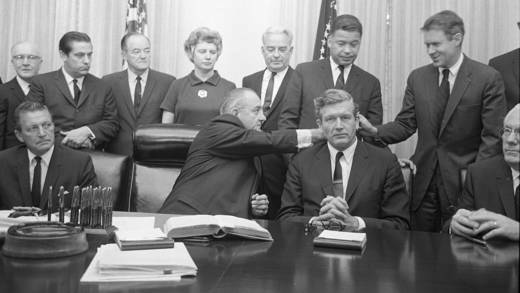 Convened by President Johnson and named for its chair, Illinois governor Otto Kerner, the Commission concluded that the nation was "moving toward two societies, one black, one white -- separate and unequal." The report recommended far-reaching government action, including reforming the criminal justice system and eliminating all barriers to jobs, education and housing. We'll discuss the Kerner Commission's legacy and impact.